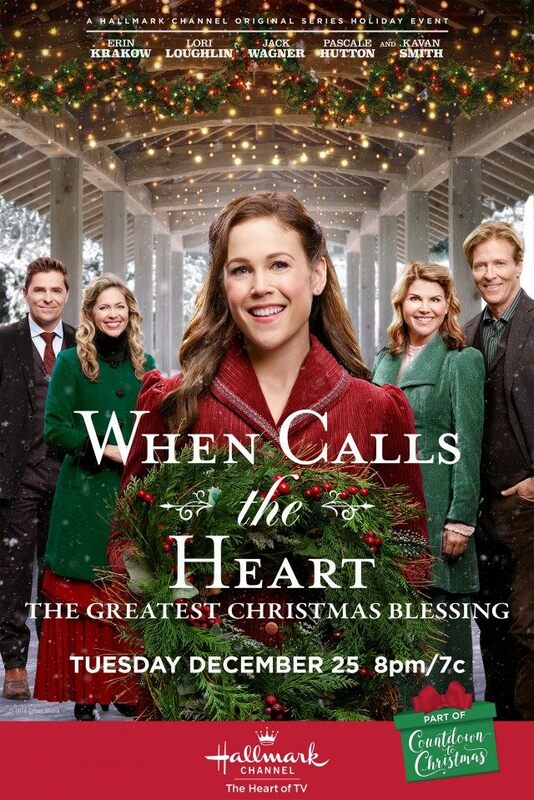 When Calls the Heart: The Greatest Christmas Blessing movie will debut on December 25 at 9 PM on the Hallmark Channel. When a group of orphans become stranded in Hope Valley for Christmas, their caretakers — sisters who have a mysterious backstory — lead Bill (Jack Wagner) to investigate the circumstances of their arrival. He discovers the sisters and their orphanage are in jeopardy, so Abigail (Lori Loughlin) and the other residents rally to make it a Christmas to remember for the orphans. Elizabeth (Erin Krakow), who is preparing for the birth of her child, organizes her students to engage in selfless gift-giving. That, along with a Christmas miracle, help bring wonder, hope, joy, and love to all this Christmas season. Other regular cast members who will appear in the special include Pascale Hutton, Kavan Smith and Paul Greene [among others]. Here is a trailer for When Calls the Heart: The Greatest Christmas Blessing.